The Board of Control for Cricket in India (BCCI) named 15-member squad for the upcoming ICC Cricket World Cup 2019 on Monday. The selection committee has gone with four specialist batsmen, two wicket-keepers, three all-rounders, two wrist spinners, and three speedsters. Gautam Gambhir feels sorry for Ambati Rayudu after his exclusion from World Cup squad. Rishabh Pant has missed out from the World Cup squad. Dinesh Karthik and Vijay Shankar are included in the World Cup squad. The Board of Control for Cricket in India (BCCI) named 15-member squad for the upcoming ICC Cricket World Cup 2019 on Monday. The selection committee has gone with four specialist batsmen, two wicket-keepers, three all-rounders, two wrist spinners, and three speedsters. And even when the squad looks balanced, two renowned names missed out – Ambati Rayudu and Rishabh Pant. The former’s omission from India's World Cup squad after just three failures is "heartbreaking" but there should be no debate on Rishabh Pant's exclusion as he didn't grab his chances, feels former India opener Gautam Gambhir. 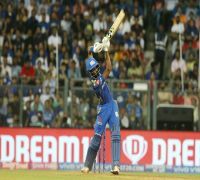 Veteran Dinesh Karthik being favoured over Pant has been roundly criticised with Sunil Gavaskar calling it a surprising move. But the hero of the 2007 World T20 and 2011 World Cup final said Rayudu not making the cut is the most unfortunate bit about the squad announced on Monday. "I think there should be no debate about Rishabh Pant's exclusion but more about Ambati Rayudu," Gambhir told PTI during an interview here Tuesday. "It is very, very unfortunate that someone averaging 48 in white-ball cricket and is only 33 has been left out. That for me is more heartbreaking than any other selection decision," said the outspoken Gambhir. Rayudu was called India's first-choice No.4 by captain Virat Kohli a few months ago but low scores in the home series against Australia last month led to a rethink by the selectors. Gambhir was not picked for the 2007 World Cup in the West Indies and for a brief period contemplated quitting. "I feel sorry for him as I was in a similar position in 2007 when they (erstwhile selectors) didn't pick me and I know how difficult it is not being picked for the World Cup. Ultimately for any young kid, it is a childhood dream to be a part of the big event. So, I feel more sorry for Rayudu more than any other cricketer, who hasn't been picked." However, Gambhir, who has been Pant's first first-class captain, felt that this omission can't be termed a setback at all as he had not grabbed the opportunities presented before him. "This is not a setback at all. Why is it a setback? He has not consistently been part of white-ball cricket. He got his opportunity but unfortunately couldn't grab it. So it cannot be termed a setback," said Gambhir. Gambhir had captained a successful franchise side (Kolkata Knight Riders) for seven years. What does a captain tell a player in the midst of an IPL season when he takes such a hit. Can a player focus on the IPL?" He (Pant) is playing Test cricket. He should be happy about it. And one thing I have tried to maintain is that you have got to stay in the present. 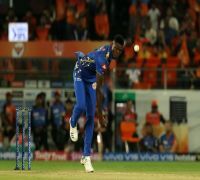 "For all that Rishabh knows, there may be someone sitting at home and thinking that he could have been in his position (playing for Delhi Capitals). Playing for Delhi Capitals, you are in a position to take your team to the playoffs. "You have age on your side, so just keep performing. He was never a part of white ball cricket consistently and it was the selectors' call between him and DK. He shouldn't think too much about it," added Gambhir. The 38-year-old didn't want to dwell too much on the pros and cons of having Karthik in the side now that he has been selected. But he feels Karthik being a consistent second-choice keeper in white ball cricket went in his favour apart from experience." Dinesh was a backup keeper in white-ball cricket for a long time. Possibly he is being seen as a better keeper compared to Pant as (Chairman of selectors) MSK (Prasad) has said. He has also deemed a better finisher. Probably that's how they think. 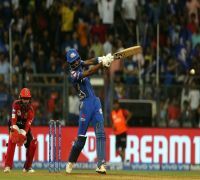 "But if you ask me, I had said my second keeper was Sanju Samson as I feel he is one of the best going around. He has the quality to be No 4 for a very long time," said Gambhir. "It's up to the selectors...I mean whether to go with Rishabh Pant or experience of DK. Now we have to back whoever is going as it's not important who has gone but the focus should be on bringing the World Cup home." The Indian team looks devoid of a Plan B in the current set-up but Gambhir believes that it is the duty of the captain and the coach to ensure that they have one. "It's up to the captain and coach to decide whether to have a Plan A, B or C or not. I am not in that situation so I don't know what plans they have in store." If they feel this is the best 15, then we must try and support them. Right now, it's not about who's going and not going, it's about bringing back the World Cup," he concluded.